Ben is a Past President of the NWA Home Builders Association (2012) and has been building homes since 2001. He was a framing carpenter in high school and college and fell in love with the entire home building process soon after. He is a Certified Green Professional who is very involved with the local HBA and has built over 120 homes in Central and Northwest Arkansas. 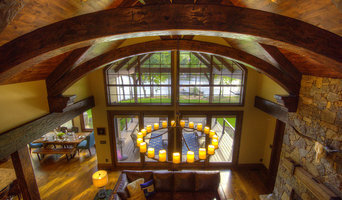 Booth Building & Design are an award winning custom home building firm in Northwest Arkansas. Owners are the local NWA HBA President Elect and AHBA Board member, and an ASID Certified Interior Designer. Their quality, reputation, attention to budget, and customer loyalty are unparalleled. Rausch Coleman Homes has become one of the top homebuilders in the United States. For over 60 years, we’ve helped families better their lives and achieve their dream of home ownership. Whether you’re looking for a Move-In Ready home or you want to choose select options for your new home, we’re here to help you find the perfect home. After 60 years of experience and more than 20,000 homes built, Rausch Coleman Homes is recognized as one of the top builders in the United States, offering quality construction at a price you can afford. Improving quality of life, one home at a time. Northwest Arkansas's Premier Builder of Luxury Modern and Craftsman style homes. GB Group Construction has been in business in Northwest Arkansas for a decade. 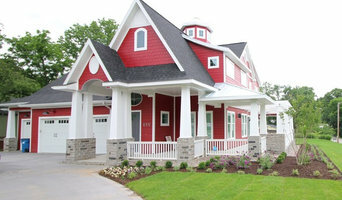 We specialize in building luxury MODERN and CRAFTSMAN style designed homes. We work with clients to build high-end custom homes that require architectural specificity, innovation, and attention to detail. We look forward to talking with you about your project. The Premier Family Owned Home Builder in Northwest Arkansas. 2018 Best Builder Citiscapes Magazine 2018, 2017 Best of the Best Home Builder Arkansas Democrat Gazette 2016 Very Best Builder Celebrate Arkansas Magazine 2018, 2016, 2015, 2014 Best Overall Home Winner NWA Parade of Homes For over 30 years, Mark Marquess has been committed to building new homes with unparalleled style and design at an exceptional value. The desire to provide home buyers with a product "where value meets design," is evident in the company's all inclusive homes. Luxuries such as granite counter tops, crown molding, tile or wood floors, stylish elevations, covered back patios, energy efficiency, and much more that many builders define as upgrades, come standard in most Riverwood homes. Craftsman Builders, Inc. is a custom home builder & remodeler with over 50 years combined experience based out of Fayetteville, AR. For Grand Lake Towne residential home builders who also act as developers, the job starts well before the first nail is driven. They perform local market research to determine whether the prospective homesites make sense in the Grand Lake Towne, OK market, as well as survey the land on which the house will be built to make sure it is suitable for construction. Custom builders also obtain the necessary permits. 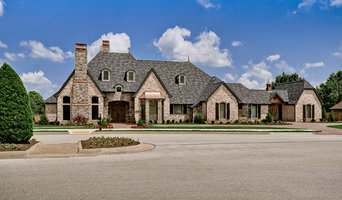 A good custom home builder in Grand Lake Towne, OK has skills that go far beyond construction — he or she must supervise subcontractors and artisans; keep tabs on local zoning regulations, building codes and other legalities; inspect work for problems along the way; and perform dozens of other roles that are essential in building a quality house. Here are some related professionals and vendors to complement the work of home builders: Interior Designers & Decorators, Landscape Architects & Landscape Designers, Architects & Building Designers, Kitchen & Bath Designers, Specialty Contractors. House builders are responsible for ensuring that the home-building project sticks as closely as possible to the specified timetable, particularly in the event of change orders. Custom and luxury home builders in Grand Lake Towne, OK also need interpersonal skills to deal with clients of all types, soothe frazzled nerves, negotiate conflicts and resolve problems. 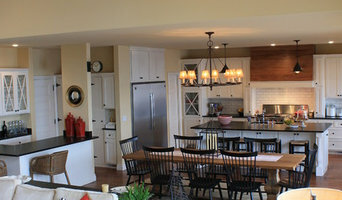 Find custom home builders in Grand Lake Towne, OK on Houzz. 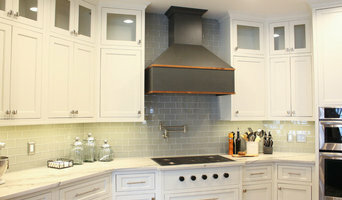 Narrow your search in the Professionals section of the website to Grand Lake Towne, OK home builders. You can also look through Grand Lake Towne, OK photos to find a house you like, then contact the builder who worked on it.